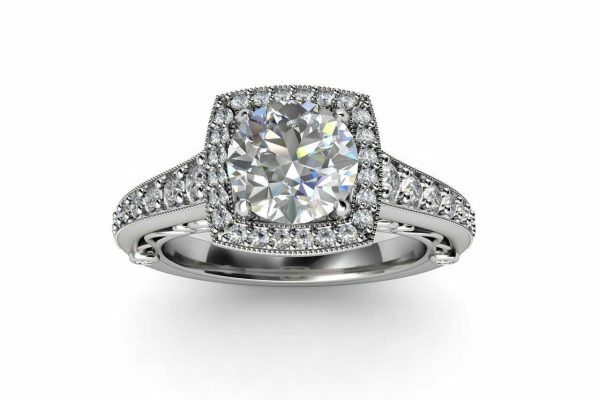 Ira is a stunning halo diamond engagement ring. 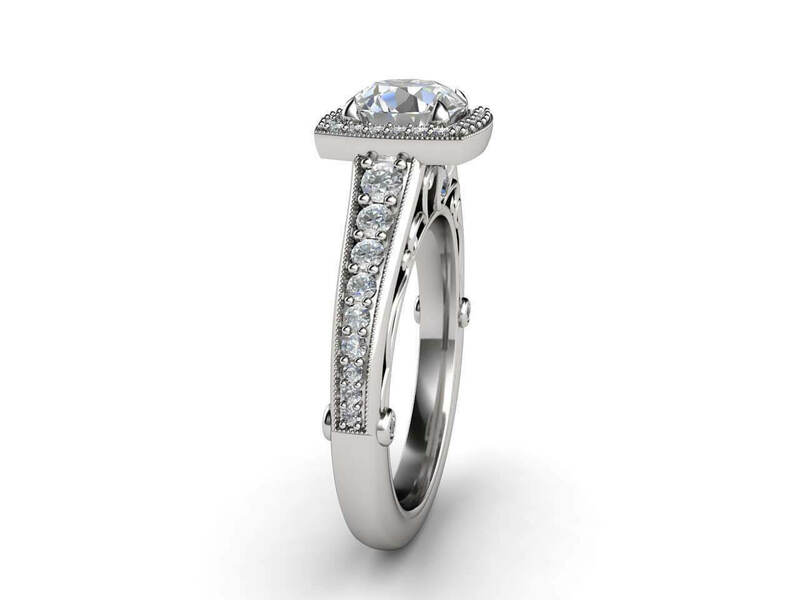 49 diamonds sparkle amongst 18k white gold in this beautiful engagement band. 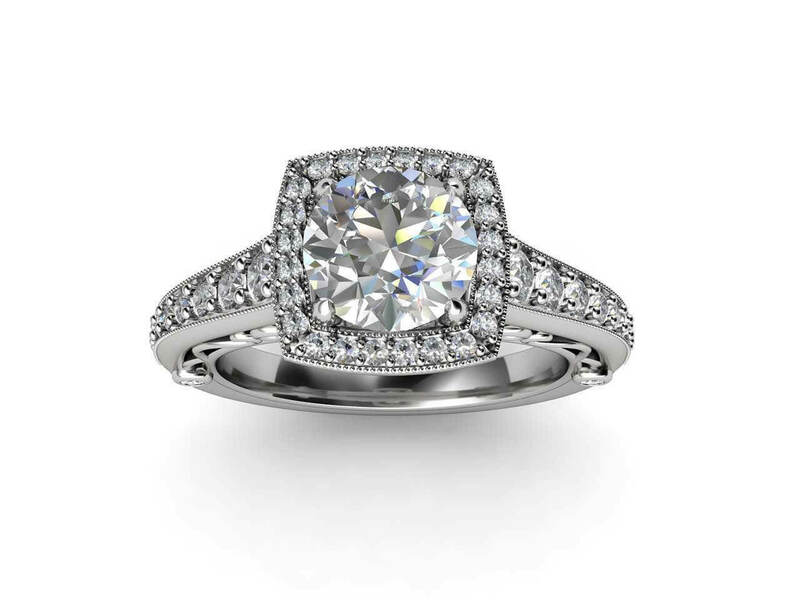 The central round brilliant cut diamond is surrounded by a halo of smaller diamonds. 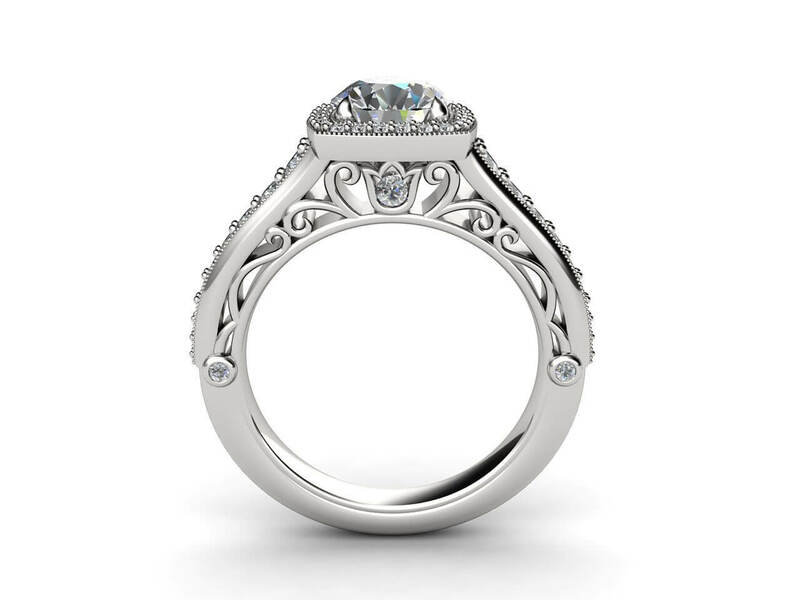 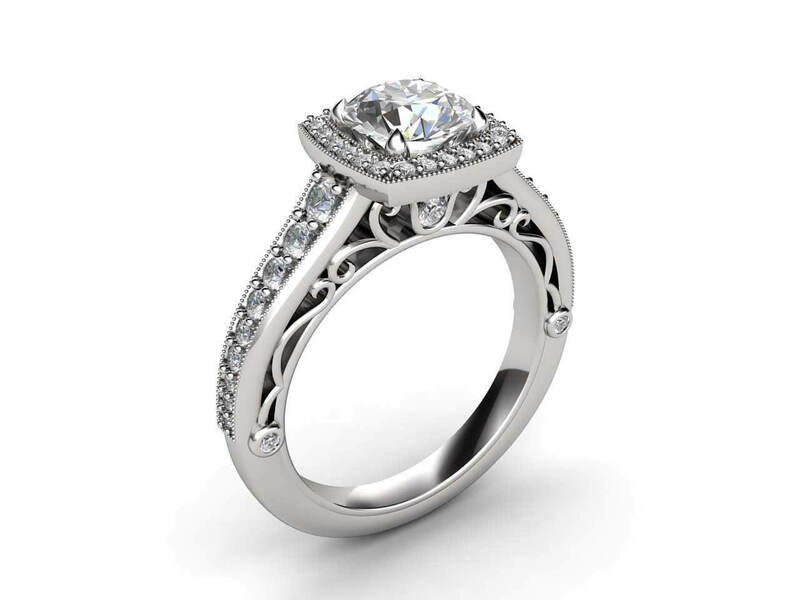 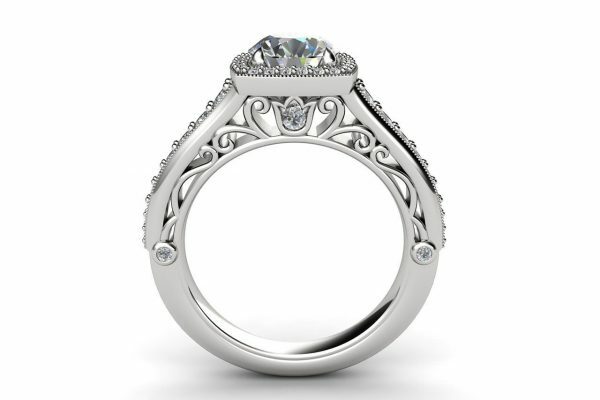 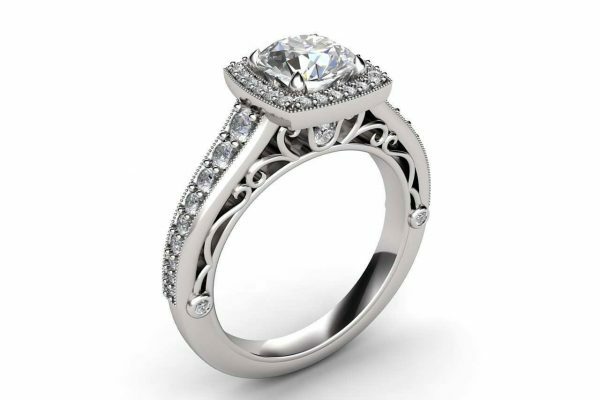 The intricate band has fine metal scroll detailing with 3 diamonds on each side. 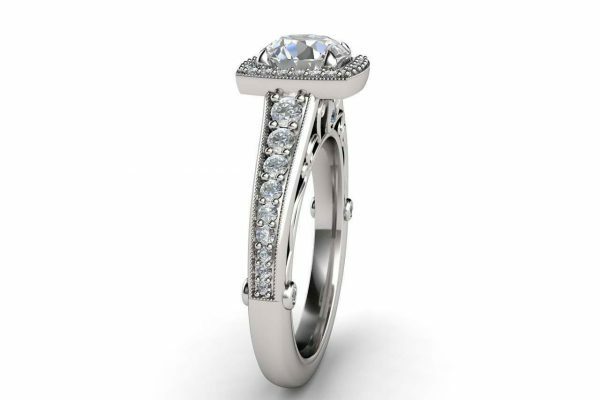 Can also be ordered in 18k yellow or rose gold or platinum. 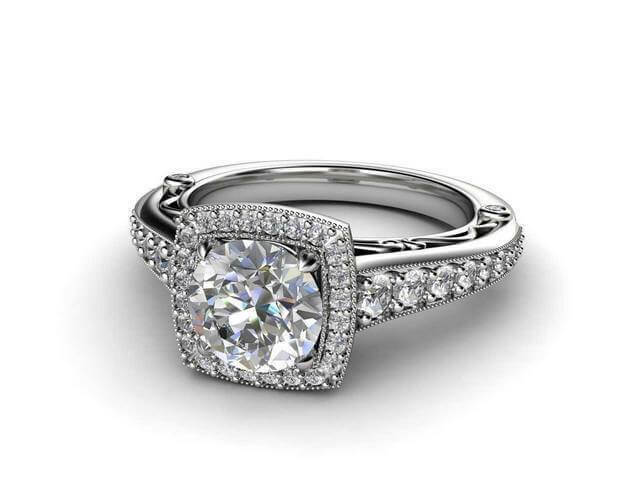 Weight side stones: 0.48ct aprox.